Listen in to hear the truth about why you don’t have to choose between your health and your happiness. Have your cake – and your kale – and eat it, too. On this week’s episode of You Time™, Talia Pollock of Party in My Plants dishes on all things veggie-full – from her BS diagnosis of IBS and her journey as a raw vegan, vegan, and plant-based eater. This conversation is as honest as they come as Talia shares her past struggles of balancing veganism and her social life while in college, being vegan-shamed in the digital world, and how she came back healthier and more grounded than ever. If you’ve ever struggled with learning to love vegetables or maybe even have digestive issues of your own, this episode will give you the insight (and a few good laughs) to take your health back into your own hands. Also, you’ll hear a few tips on how to make leafy green things less hellish and more enjoyable. WHO IS TALIA OF PARTY IN MY PLANTS? Talia Pollock is a speaker, author of an upcoming book with Penguin Random House, and the creator of Party in My Plants, where she helps people take the hell out of healthy living. Through her top-ranked Party in My Plants Podcast, her sought-after coaching, and LOL cooking videos and recipes which have been seen on The Doctor Oz Show, Mindbodygreen, Success Magazine, and Huffington Post, Talia proves that it’s practical and possible to be your best self without the BS. 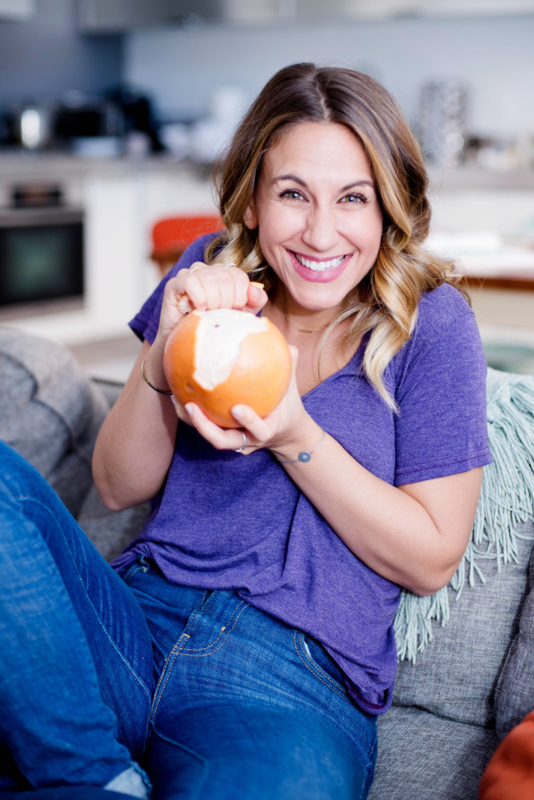 She’s a holistic health coach from the Institute for Integrative Nutrition, a speaker (she’s a former stand-up comedian), a plant-based nutrition expert through Cornell University and a health-supportive chef from the renowned Natural Gourmet Institute. Tali has made it her mission to help others eat more plants – and chill the heck out – so they can have a life as epic as a party! She lives in NYC with her new husband and plant-loving pup. Learn more about becoming a student and holistic health coach through the Institute for Integrative Nutrition! Grab your free class or read my IIN review! Are you ready to say yes to yourself? Make time for yourself with the At-Home Self-Care Retreat Bundle – now on sale for $17 (usually $127) for a limited time only. Learn more about the Boundaries with Soul™ Digital Course. Psst! You can save 10% with code BOUNDARIES at checkout.